August is National Hair Loss Awareness Month and according to the American Hair Loss Association, 40% of people who experience hair loss and thinning hair are women. There are many reasons why hair loss occurs and a variety of ways to go about finding a solution. For women who experience thinning hair but still have at least 3 inches of hair, extensions may be a solution. Many people worry about the damage that hair extensions can have on thinning hair. However, properly applied and cared for extensions will actually grow with your hair as you wait for your natural hair to grow out. Di Biase bonds are specially formulated to work in unison with our unique flat wrap technique for gentle, comfortable and virtually undetectable bonds. Unlike other hair extension brands, Di Biase bonds are extremely fine, causing less stress on the scalp and preventing damage. Di Biase extensions also weigh less, which prevents pulling. A good hair care regime of thorough, gentle washing with the proper products, brushing and then putting hair into a ponytail or braid at night will make for happy and healthy hair! Skillful application of fine bonds can completely transform an individual’s attitude and give them back the confidence they want. Below are a couple of common questions that we receive from people looking into hair extensions. Will it hurt or damage my hair? 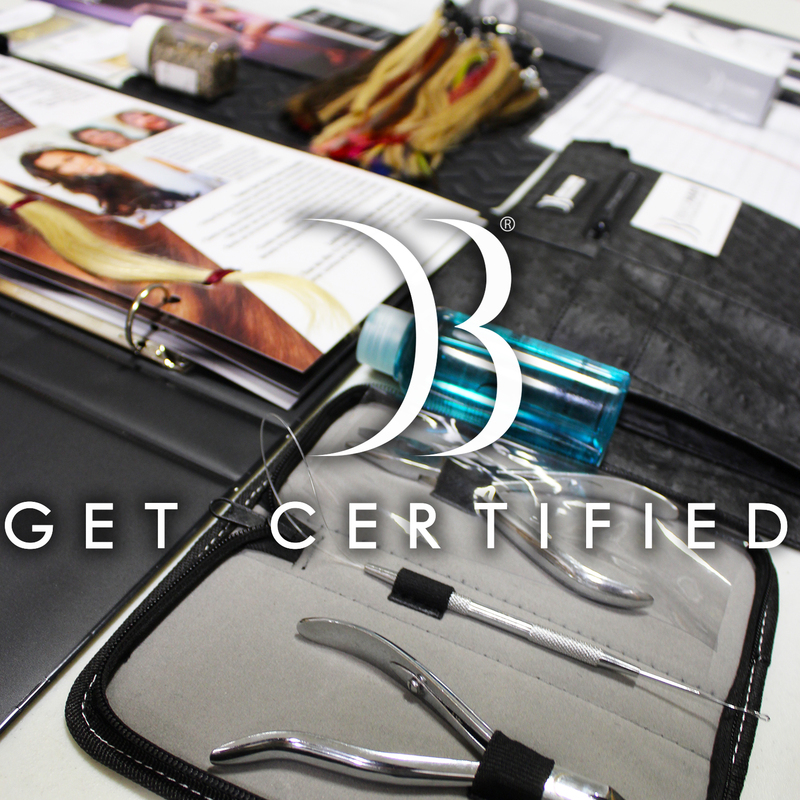 No, with proper application and home care, Di Biase Hair Extensions will not damage the natural hair. Extensions should absolutely never hurt during or after the application process. Removal and re-application is a painless process. Can you treat it like your own hair? Yes, however, it is important to remember to take care of extensions carefully. For example, when working shampoo and conditioner into the hair and scalp, please remember to be gentle and work it in more gently than you would regular hair. You may also put heat and style your hair as you normally would, but never put heat directly on the bonds. Also, please avoid putting products with oil close to your scalp. The better that you take care of your extensions, the longer life span that they have. Can you see or feel the extensions? When properly applied, hair extensions and bonds will not be seen. Only under detailed close-up inspection will the extensions be visible. 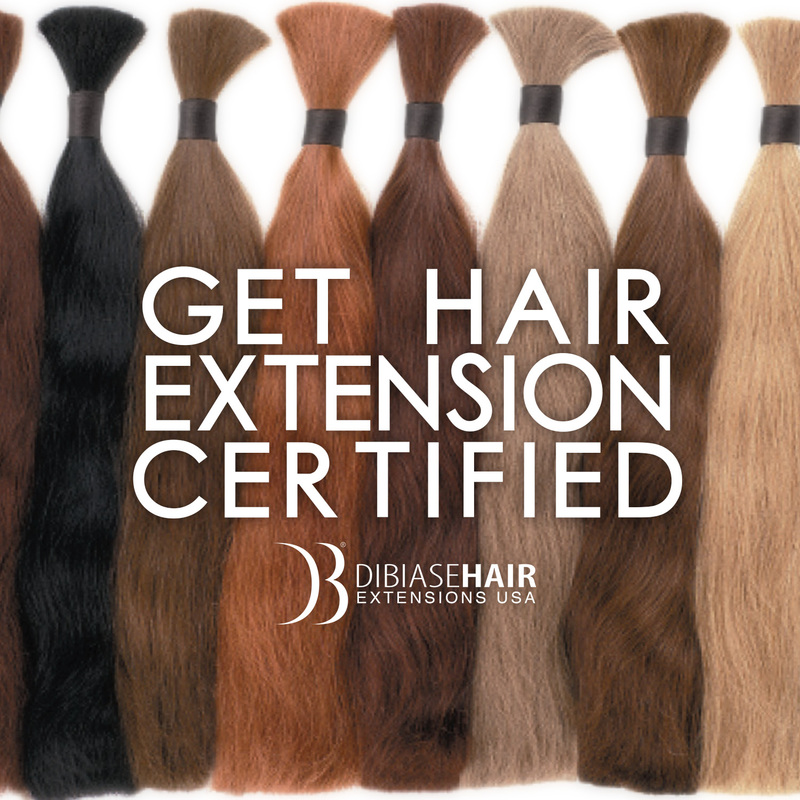 If you are looking for extensions for yourself, looking to purchase them for your salon, or would like to become a certified hair extension stylist, please contact us at (248) 489-8900 or info@dibiasehairusa.com. Pictured is a client who came in with very fragile and thin hair and was given a complete makeover using Di Biase extensions. She had a patch of thinning hair on top of her scalp, which was filled in with dark extensions and blended in afterwards with a haircut. Top right and bottom right photos are immediately after application.